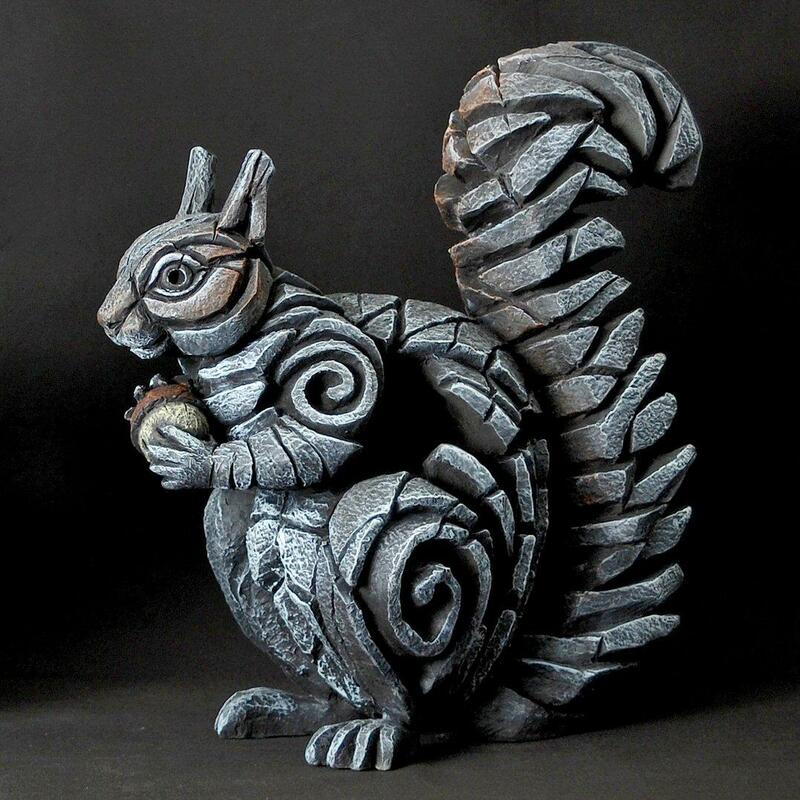 Edge Sculpture Collection - Grey Squirrel by Matt Buckley. Introduced from North America in the 1800s the grey squirrel has now become common in most parts of the UK. Fast moving and expert climbers they are instantly recognisable by their large bushy tails and often provide the first encounter with wild mammals for young children. They are ingenious hunters and will often work out how to take nuts from even the best protected bird feeders. Matt Buckley's endearing sculpture shows a grey squirrel in a classic pose, holding a large nut and with its bushy tail raised. The is also red version of this sculpture - RED SQUIRREL ED18.